Happy New Year! We hope you and yours enjoyed a wonderful holiday season. Winter: You’ll miss it when it’s gone?! Said no one, ever! We are “embracing” the coldest weather in 24 years, school and business closings, while trying to maintain construction schedules and awaiting projects that are supposed to be turning over soon. We are excited about several new projects that will break ground in the coming months, and our interiors division continues to stay busy. As building ownership changes, new Landlords continue to invest in building amenities to retain existing tenants and attract new ones. January’s featured projects are from around the region, representing work from Capitol’s three offices. Additional photos of these projects below can be viewed on our facebook page. If you’re interested in talking with us about a potential project or partnership, please contact Lauren Kriner at lkriner@capitolconstruct.com or 317.574.5488. AVIS/BUDGET/PAYLESS, Chicago, IL – 50,000 Sq. Ft.
Capitol Construction recently completed another project for the Avis/Budget/Payless Group in the new consolidated parking facility located at O’Hare Airport in Chicago. 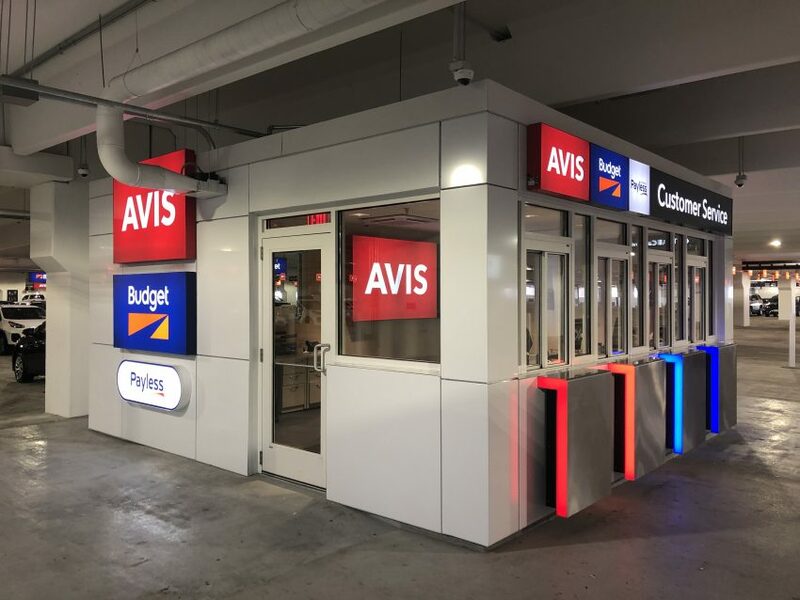 For the Avis portion of the work, Capitol built the new Customer Service Center, constructed several small buildings within the parking structure for the Avis Preferred and Budget Fastbreak customers, finished out offices for the maintenance area in an adjacent building. Capitol oversaw the installation of all of the striping, traffic control and security equipment and signage throughout the Avis and Budget portions of the parking facility, which involved the installation of thousands of feet of electrical conduit and wiring. Working closely with the City of Chicago and Airport authorities, Capitol was able to meet the tight deadline and have the facilities up and running for the customers by the Grand Opening in November of ’18. 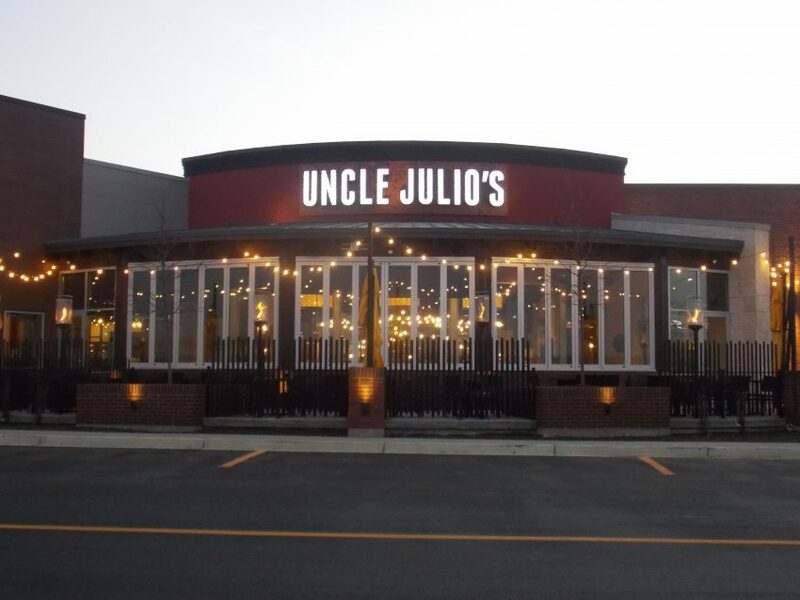 Uncle Julio’s first Wisconsin restaurant is on the outskirts of the Brookfield Square Mall! This ground-up location opened over the holidays and seats 500-of which 164 will be patio seating-creating their largest “four seasons” patio to date. The 8,200 sq. ft. restaurant was designed by Hammers + Partners Architecture out of Dallas, TX. This is the Chicago team’s third Uncle Julio’s project, and they have another two remodels underway. BASH, Carmel, IN- 6,300 Sq. Ft. 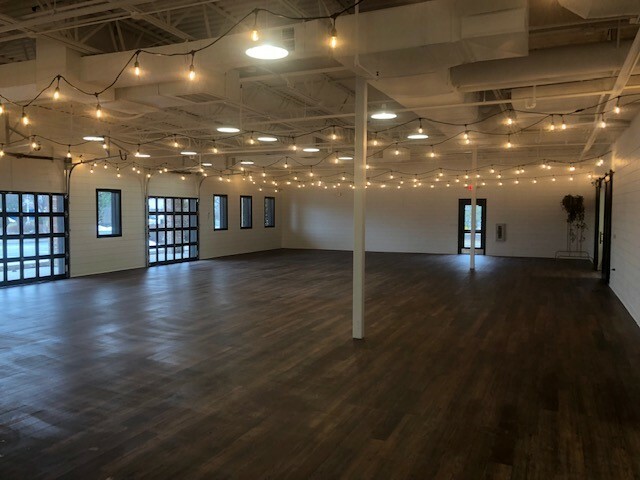 If you remember the old Carrabas in Carmel, IN, you will love its transformation into a gorgeous new 6,300 square foot event venue in the heart of Carmel! The building was converted into a 200+ capacity venue, “Bash”, exuding a “modern farmhouse” feel, designed by Indianapolis-based Parallel Design Group. Choose your special day, pick from the best vendors in town, and have on-sight parking surrounded by amazing amenities! The building exterior will be painted all white upon the weather breaking as well! WORLD WIDE TECHNOLOGY, Franklin, TN – 3,900 Sq. 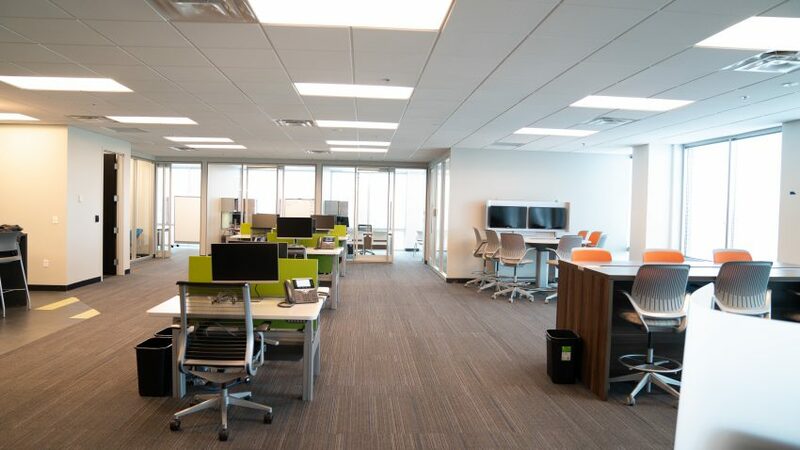 Ft.
Capitol’s Nashville team completed a 3,900 square foot office in Franklin, TN for the international group World Wide Technology. The space, designed by locally-based Sorci & Swords, incorporates private offices, collaboration areas, conference rooms, and a break room. Cushman & Wakefield, a longtime and repeat client, managed the construction process. SIXT RENT A CAR, Chicago, IL – 5,000 Sq. 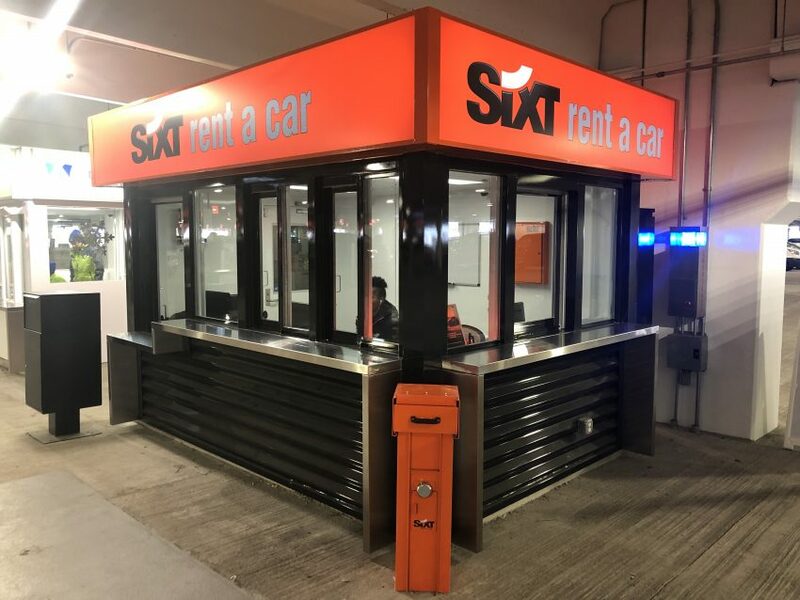 Ft.
Capitol Construction recently completed a project for a new client, Sixt Rent a Car, at the O’Hare Airport parking facility that opened in November of 2018. Capitol took on the additional work at the parking facility at the request of the owner, after work on other areas of the garage had been underway for more than a month. Even though the schedule was very tight, Capitol was able to have the Sixt Rent a Car facility up and running by the City of Chicago’s Grand opening date, which enabled Sixt the ability to open their spaces for business at the same time as the other tenants in the garage.